I never condone serving alcohol to minors, which is why I prefer to serve this punch when entertaining children of all ages. 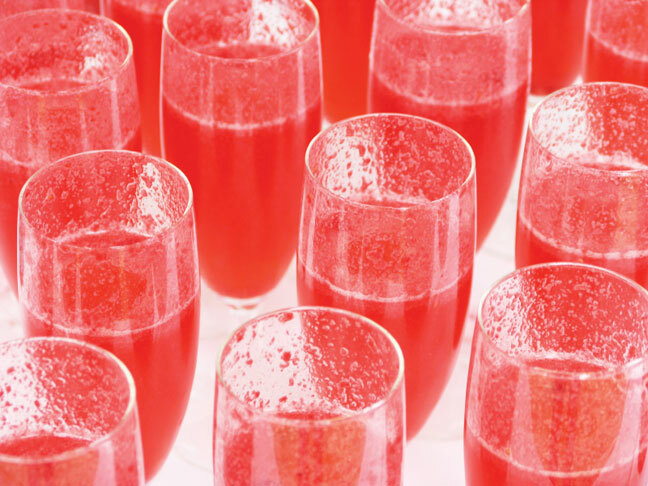 It is a simple mix and stir affair that is dotted with delicious fruity ice cubes. My daughter takes particular pride in helping me dot each ice cube with raspberries, it is her own personal art project. Adults, set aside your own bowl of punch and add a little vodka or rum if desired, just keep that bowl out of reach of children! 1. Pour water into an ice cube tray and add two raspberries to each cube. Freeze to make ice-cubes. Use more trays, or reuse the same tray, to make additional ice-cubes. 2. Mix the cranberry juice, pineapple juice and ginger ale together in a large punch bowl. Slice the lemons into ¼ inch thick slices and stir into the punch. Add the raspberry ice cubes and serve!